The Purple Muse: FIrst challenge card of the year! FIrst challenge card of the year! Don't faint - yes, I'm actually able to craft again. I have my room somewhat put together and figured out how to remedy my A/C issue (or lack thereof). 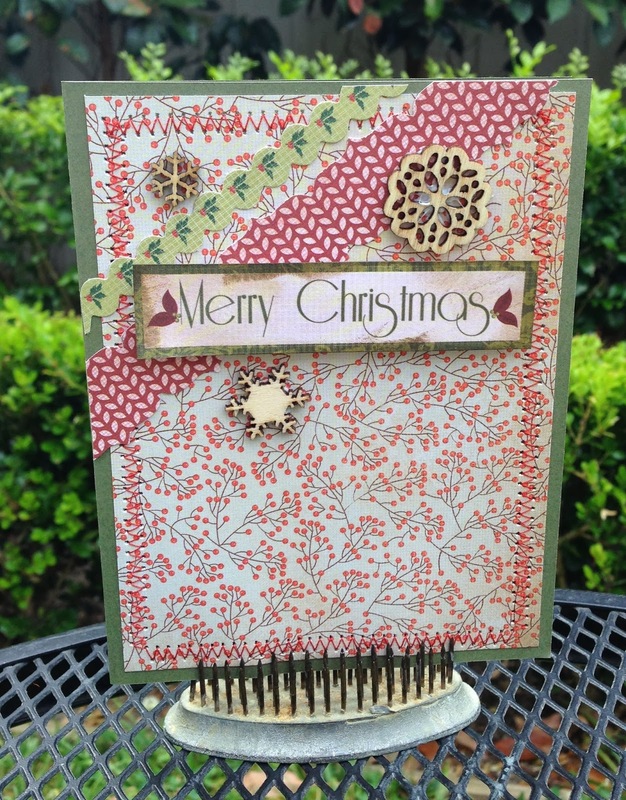 This card is for a new challenge I found at Paper Playful, 52 Christmas Card Throwdown. Super card, love those wooden charms. Thanks so much for playing along with 52CCT this week! Love seeing you use the wooden snowflakes I sent you!! !